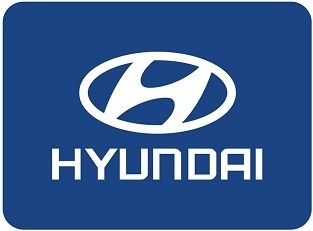 FOUNTAIN VALLEY, Calif., April 2, 2019 – Hyundai Motor America reported March sales of 61,177 units, a 2% increase in comparison with March 2018 and the eighth straight month of increasing sales. Retail sales in March grew by 1% as Hyundai’s well-rounded product lineup, expanding SUV offerings and focus on customer experience helped Hyundai again outpace the industry. Hyundai sales in 2019 are off to a strong start in a toughening market, up 2% in the first quarter. Hyundai sold nearly 30,000 SUVs in March, representing 49% of the total sales volume. Retail SUV sales totaled 22,355, a 47% retail mix compared with 39% last year. This was an all-time March SUV total sales record with an increase of 17% compared with March 2018 and the eighth consecutive monthly SUV sales record. Tucson set its March monthly sales record with 11,976 units sold, up 1% compared with last year. Kona, the North American Utility Vehicle of the Year, sold 7,015 units, up 197% and the second highest-monthly total ever for the model. Veloster sales increased a significant 42%, while the Veloster N continues to be a hit in the sport compact segment. Accent also achieved an increase on the month with sales growing by 9%. Next Generation Sonata Revealed: At the Seoul Motor Show, Hyundai revealed the all-new 2020 Sonata, showcasing a dramatic sporty four-door-coupe design. Hyundai also announced the new “Digital Key” that will be available on the 2020 Sonata and allows users to unlock and start their Hyundai vehicle via their smartphone. The new Sonata also rides on an all-new third generation platform and has a premium Bose sound system, in addition to other features, including advanced powertrain options. The 2020 Sonata will make its U.S. debut in a few weeks at the New York International Auto Show. Hyundai Venue Coming to the NY Auto Show: Hyundai unveiled the name for its all-new 2020 SUV: Hyundai Venue. The new entry SUV name references a “place” where people want to be seen. The Venue symbolizes a trendy, unique style, perfect for Hyundai’s newest and smallest SUV. Veloster Named an Automobile All-Star: At an award ceremony at the Amelia Island Concours d’Elegance in Florida, the Hyundai Veloster N performance coupe was named a 2019 Automobile® magazine All-Star. Student Assurance: Today, Hyundai introduced Student Assurance, an industry-first incentive for customers with student loan debt. Student Assurance will help eligible customers free themselves of student loan debt faster by providing a contribution of up to $900 directly toward their student loan with a purchase or lease of a new Hyundai vehicle. The program is initially available at Hyundai dealerships in California and the Phoenix, Arizona area from April 1 – September 30, 2019.